Saro Malabar Porotta can be served in minutes, its crispy layers and softness to the touch makes it a real treat to the eyes and taste buds. 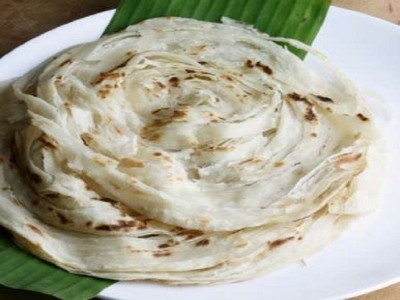 The Malabar Porotta is a perfect mix of flour, refined vegetable oil, salt with little water.The dough is rolled out and then flattened and made into a single round shape with spiral layers and heated till the sides are golden brown. When consumed with a veg or non-veg dish, the Malabar Porotta can be described in one word “Scrumptious”. This delicious treat does not require preparation time. Saro Malabar Porotta are non spicy and is prepared of natural ingredients.